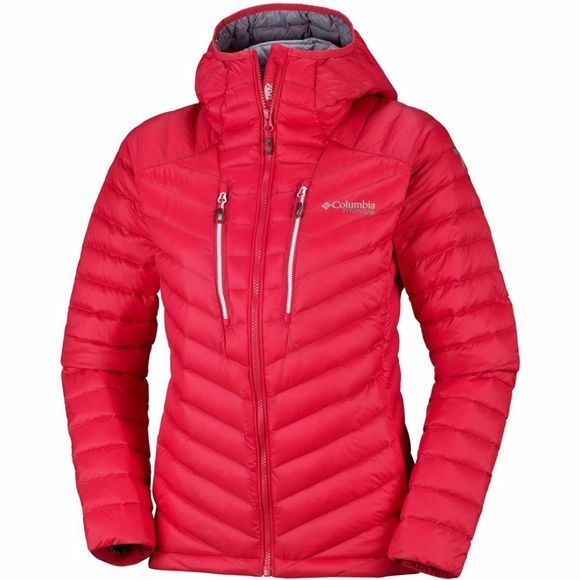 The Womens Altitude Tracker Hooded Jacket from Columbia will give you everything you need when it comes to stay warm for your longest days outside. 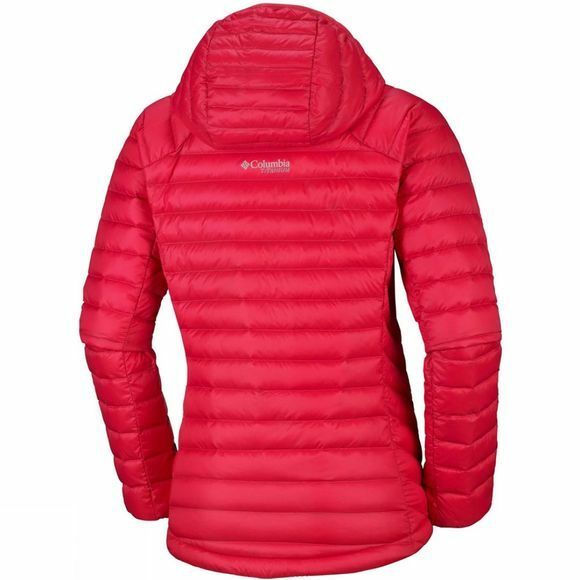 This close-to-the-body 700 fill power goose down insulated jacket has a clean design. The jacket is packable into the chest pocket. The water-resistant fabric protects you from snow and rain, while the scuba hood and chin guard will keep you dry and comfortable.